Aquila Single Hole 1-Handle High Arc Bathroom Faucet in Brushed Nickel with Lever Handle Brand new style meets all-around use in this beautiful piece from Kraus. If you want to renew the look of your bathroom, this single-control faucet is perfect. This item's deck mounted design is easy to set up so you can enjoy a finished counter top. 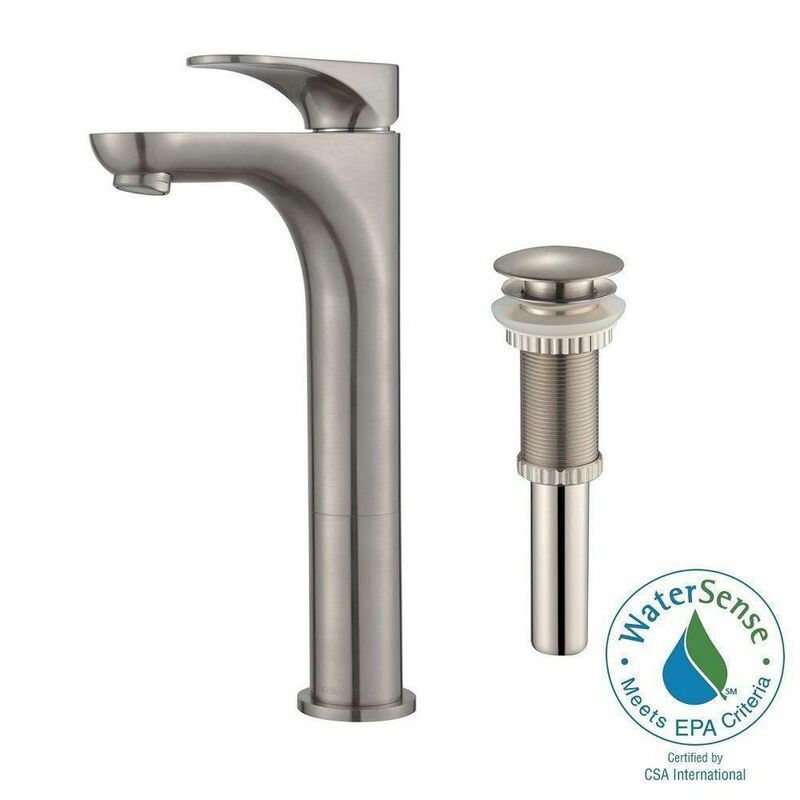 This WaterSense certified faucet saves water and money, but gives you the same clean. Aquila Single Hole 1-Handle High Arc Bathroom Faucet in Brushed Nickel with Lever Handle is rated 5.0 out of 5 by 8. Rated 5 out of 5 by Theodore from Worked first time after installation. Quick installation. Flow... Worked first time after installation. Quick installation. Flow rate is perfect. Drain works as designed and was a quick install. I purchased this for a vessel sink that is 6" higher than the vanity counter. Rated 5 out of 5 by Marie45 from I love this faucet. It's well made and feels... I love this faucet. It's well made and feels solid. The flow of water is nice. Doesn't splash at all. The pop up drain works very well. I'm completely happy with it. Rated 5 out of 5 by 150 from Faucet Works really well. Was easy to install also. Great looking product fits our bathroom remodel excellently.